STARTING THE ALL MEZZED UP QUEST: you will find Bree at the park 24 hours after you complete the basement quest! Is it worth it? Yes, if you like the DIY home then it is definitely worth completing this quest on time! And an added extra it has a pool in the garden! Hey! So I was someone who was very concerned about not having a full grown pet too (I just have a puppy and kitten who obviously can’t find treasure). 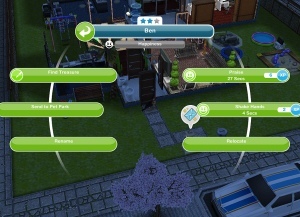 But some time after I had given up I sent one of my sims fishing and he was swallowed by that huge carp where you can hit the bubble to get xp or $$ and sometimes LP. Anyway I collected all three of the bubbles and apparently that now passes as having your pet find three treasures. Definitely a good option for people who don’t have the LP to get an adult pet though it could take some time. 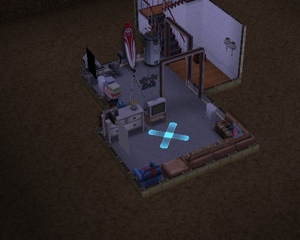 The study of basement don’t work with all of my sims. They cant do it. What should I do? 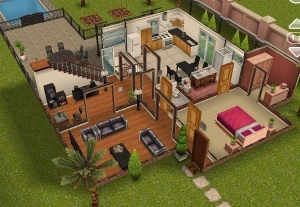 Since the latest update there has been an issue where sims cannot go down some sets of stairs due to the placement of doors/objects at the top or bottom, it is possible to work around in your own houses as you can move the door or object out of the way and your sims can use the stairs again but unfortunately it is not possible in the quests, this requires an actual update to fix this issue which hopefully will be available in a few days so you can complete this quest. If this has stopped you completing the quest in the time limit then please contact the makers and let them know. I’m having trouble with ghe Basement of Kings quest. I’m on the inspect the basement part, but my sim will not go down the stairs to the attic. I’ve tried multiple sims and all of them refuse. Nothing is in the way, and they aren’t stuck, be they act like it. I’ve reopened the game and it still won’t work. What should I do? Thank you so very much for doing what you do to help out! You are so kind & patient! I did close the comments on the urban furniture post, I do this when the event is over. Its been a stressful few weeks so I have just gotten around to that comment and your email, sorry for the slow replies! I haven’t done the puppy odyssey quest yet 😥…what do I do with the task here which requires a pet at home? I built the pet store— will I be able to buy a pet without completing the quest related to that? You don’t need the puppy odyssey quest to complete this one, buy a cat or dog from the pet store to complete this task. The study basement at the DIY home task was 3 hours and 30 minutes for me. It must have changed with the latest update. Previously I had it at 3 hours 30 minutes then someone told me it had changed to 5 hours 30 minutes so who knows! The play with pet option took me five minutes with an Adult cat and 9 minutes with a kitten. I think they updated it.. Probably, they do change them a lot! Thanks for letting me know. The couch you get in the diy house is a normal one, it isn’t the make out couch, you can only get this if you completed the patio quest in the time limit. It won’t let me play with pet. Only pet or praise. Help please! Are you on that goal yet? You cannot do this until you get the goal. I planted the strawberries but they turned into the sim-eating plant instead. The task was considered complete so I moved on to making double shot coffee and giving food to Bree. However, after I finished the latter, the task wasn’t considered complete. Is it because of the strawberries? This will have nothing to do with the strawberries, there is probably a glitch with this goal, have you tried doing it again? I have completed the lovey dovey balcony quest but Bree isn’t anywhere in the park. Do you know why? I completed the lovey dovey balcony quest yesterday morning. Just keep checking back at the park, she should arrive 24 hours after completing the lovey dovey balcony quest. 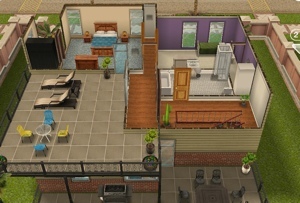 You can built the DIY homes in a standard home lot. Can I play with a pet in a neighbor’s town and still complete the task? No, you cannot complete quest goals in a neighbours town, you can only complete social tasks in a neighbours town. I noticed that the balcony in the DIY home is on top of the house’s roof- how do you do that? The balcony is just built on the second floor above a room on the ground floor, so instead of them building a room above it they built the balcony there instead. It looks like they changed the strawberry task and you have to plant them at the DIY home now. I started planting them early, but when the task came up, it said they had to be planted at the DIY home. The strawberries I planted at a different house didn’t complete the task. You also have to complete the voting obsessively task at the DIY home as well. At least that’s what the task said. I didn’t try it at a different home, so I’m not sure if it would still work outside the DIY home. You definitely can still plant them at a different house if you start it early, I did it yesterday 🙂 you just have to stay away from that house until you get the task, it won’t work if they finish planting them before you get the goal. This happened to me also, I had started planting the strawberries early at another house, then I got the task and it said they needed to be planted at the DIY house, so I started them there. But when I visited the house where I’d planted the first strawberries, the task completed! I was so happy as that would make the time completing the quest very tight and I really want this house? It won’t cost you anything, you will make money as you are selling the room when you delete it. 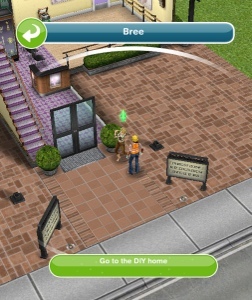 For some reason I after I left all on my sims it won’t let me go back to the diy home help..
You can use a phone to get back to the diy house. Hi! I am having trouble on Basement of Kings. I’ve bought S2,000 worth of furniture and electronics for the basement, but I am still not allowed to move to the next task to complete the task. I spent S2,070 on furniture, lights, and electronics. Was I not supposed to buy lighting? Was I supposed to buy exactly S2,000 worth? I don’t know. Please help! Unfortunately lighting doesn’t count as electronics, it means items from the electronics section such as computers and phones. ok! Thank you so much! I completed the quest. 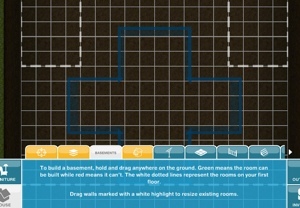 Can i have a basement more than 1 floor? Hi I accidently did not make my basement big enough to fit anything.. now i cant complete the quest. Any suggestions on how to make the room bigger. It will not give me the option to expand the room. To complete that goal all you need to do is build a basement, the size doesn’t matter. The furniture you buy for the next goal doesn’t have to fit in the basement. Can babies go in basements? I tried to ask all my sims to leave the DIY home, then stop every action even I didnt let them to work. The task still cannot be passed. What else I can do? Please advice, thanks!!! Hey there,so I’m on the basement quest and I’m up to watching the ultimate movie marathon,and it says that Bree will film me watching it,but she’s gone,her icon is gone,I’m watching it at the basement I built..what happened to Bree? Bree won’t turn up while you complete this task, it will still complete once you finish it even though she isn’t there. Hi, there is no longer the Bring food to Bree option,after making the double shot,it’s skipped to telling a joke to bree. I finished the quest and I’m building my basement in the House I have modeled after my own. I just realized I can’t have my basement stair case run under my stair in the Main floor. Oh now it totally screws up my layout. Is there a different stair case somewhere to earn to make this happen? Unfortunately there are no stairs currently available that work like that. i bought furnitures and electronics worth 2000 but it didn’t show that i did. what should i do? Try buying a few more electronics from the electronics section, for example tvs, computers and phones, this should complete it. I already started this quest and now I have to “play with a pet”. The problem is that I haven’t finished the quest with the pets and I don’t have one yet. What I can do to finish this? There isn’t a quest for pets, there is one for puppies and kittens but you don’t have to complete that for this quest, you need to build the pet store and buy a pet to complete this task. Unfortunately you cannot complete this quest if you do not have a pet so you will need to build the pet store. In the play with a pet thing, can you play with a parrot that you got from completing the bird feeding quest on time? I don’t have the pet store yet and it costs too much. Unfortunately you won’t get this option with the parrot, it has to be a dog, cat, puppy, kitten or dragon. Hi! 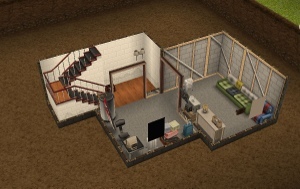 I’m currently working on finishing the quest for basements but idk why, I can’t get my sim to go to the basement of the DIY home even though there’s nothing that’s blocking the way. It was also like this when I did the Balcony Quest when I was tasked to have two of my sims makeout at the couch in the basement of the DIY home. 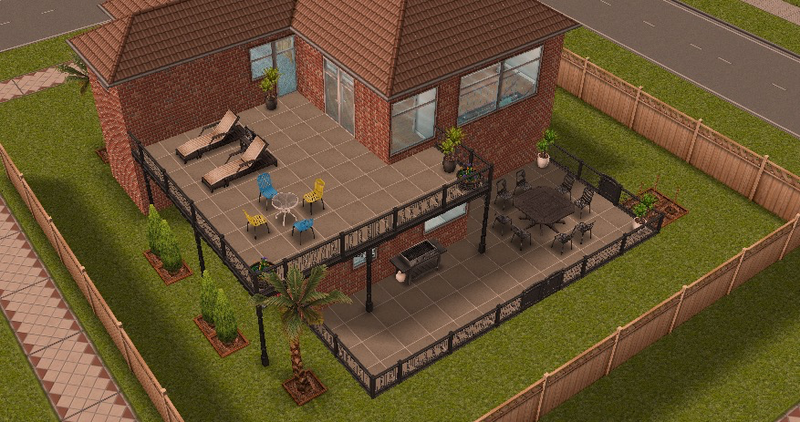 Good thing, I won the Patio Quest and just placed the rewarded makeout couch in one of my sims house. Please help! I still have a lot of discovery quests left but I can’t move on to them since I’m stuck in this quest. Vote excessively took me 8h 30m on the computer at the DIY house.